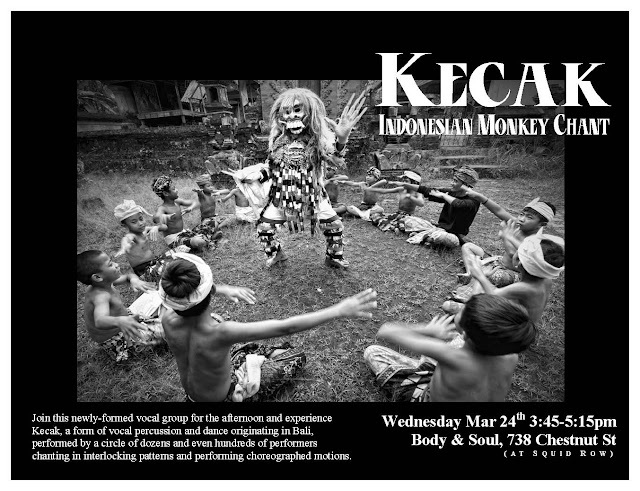 Join this newly-formed vocal group for the afternoon and experience Kecak, a form of vocal percussion and dance originating in Bali, Indonesia, and inspired by traditional gamelan. Kecak is performed by a circle of dozens and even hundreds of performers chanting in interlocking patterns and performing choreographed motions. Requirements: Come prepared to play and sing. Bring your monkey energy and water to drink. 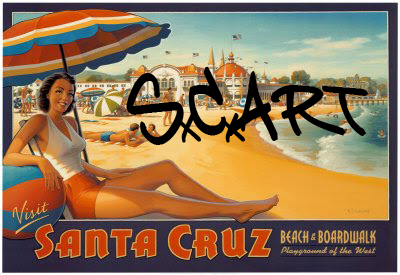 A few dollars donations suggested to cover the cost of the space. Directions: Body & Soul is a large studio at the end of Squid Row. Entrance on Chestnut.